Ferment Fortnight puts artists from across the South West on stage at Bristol Old Vic twice a year, and is part of the theatre’s development programme. Events range from salon conversations and exercise classes to gig theatre and script readings. Here are our top five pick of the festival, which runs from January 22 to February 2. Opening Ferment Fortnight is Gagglebabble, a gig-theatre company based in Wales, which returns to Bristol Old Vic with Jessie’s Tattoo Club, a show based on the trailblazing first female British tattoo artist Jessie Knight. Expect music in the style of Janis Joplin and Joni Mitchell. 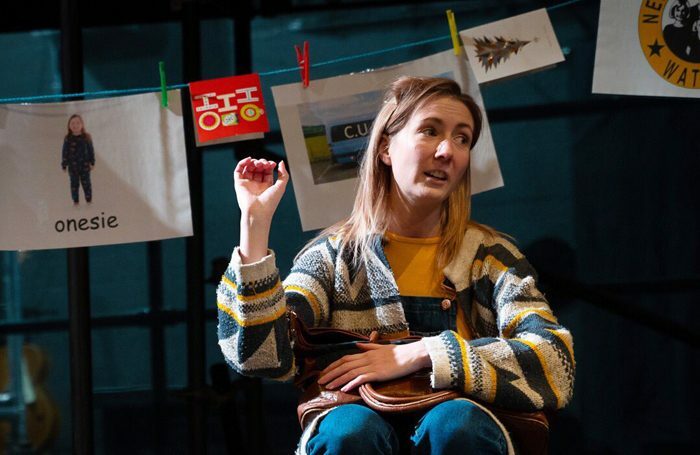 Inspired by her own life and conversations with special needs families, Lucy Bell’s Laminated explores the impact of having a high-needs child on a marriage in this warm and funny conversational one-woman show. Bristol City Poet Vanessa Kisuule hosts this informal salon-style conversation, inviting audience members to discuss the limits of Black History Month and the stories black artists are expected to tell. The event will be one of necessary provocations presented in Kisuule’s inimitable style. Poet Jack Dean and illustrator Christopher Harrison present this story of the Vikings’ exploration into the new world aimed at children of nine and older. It is a dark and wintry adventure brought to life with live animation by Harrisson. The Wardrobe Ensemble (winner of The Stage Edinburgh Award in 2017 for Education, Education, Education) present The Pelican Daughters, made in co-production with Complicite and Royal and Derngate Northampton. Described as an examination of inheritance, family, what’s fair and what’s not, this is a chance to see the latest work-in-progress from a brilliant Bristol company.